Analysis: Thomas got off to a promising start by capping off the opening drive of the game with a one-yard touchdowns catch, which was the first of his career. He also finished third on the team in receiving yardage while posting his second-best total of the season in that category, though his contribution was still rather modest. 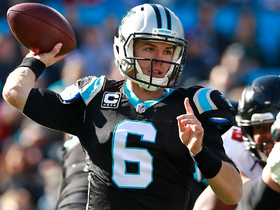 Thomas appears to already have a rapport with Taylor Heinicke, but he's far from a lock to put on a repeat performance in next Sunday's season finale against the Saints. Analysis: Thomas struggled earlier this season when Greg Olsen was out with a foot injury, but the rookie tight end looked much more comfortable taking over as the starter this time around. He led the Panthers in targets and catches while coming up only three receiving yards short of Curtis Samuel's team-leading total. With Olsen on injured reserve, Thomas will be a popular waiver wire add ahead of a Week 15 matchup with a Saints team that just gave up two touchdowns to Buccaneers tight end Cameron Brate. Analysis: Thomas hadn't caught a pass in four games, but he was thrust into a larger role after Greg Olsen left with a foot injury. He finished third on the team in receiving yards, displaying a solid rapport with Cam Newton on short pass routes. Olsen's injury will likely end his season, reinserting Thomas as the team's top tight end down the stretch. He'll hope to improve upon his production from earlier this year and should enjoy a boost in fantasy value in Week 14 against the Browns. Thomas caught his only target for 15 yards in Sunday's 36-21 win over the Ravens. 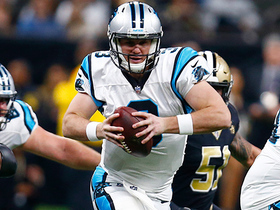 Analysis: Thomas played eight offensive snaps working behind Greg Olsen at tight end. Although that role hasn't proven conducive to much production at all, he at least caught his lone look Week 8. Thomas did not play a snap on offense in Sunday's 21-17 win over the Eagles. 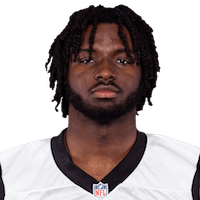 Analysis: Thomas has been relegated to special teams duty in light of Greg Olsen returning from injury to claim his every-down role at tight end. Thomas played just one offensive snap in Sunday's 23-17 loss to the Redskins. 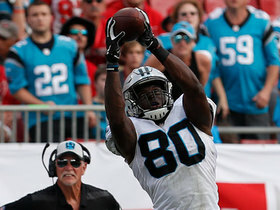 Analysis: Thomas' playing time was slashed due to the return of fellow tight end Greg Olsen. After being sidelined since Week 1, the former Pro Bowler immediately played all but one offensive snap. Unless Olsen re-aggravates the ailment again, Thomas figures to find himself in a more suitable, low-usage role as his rookie season unfolds. 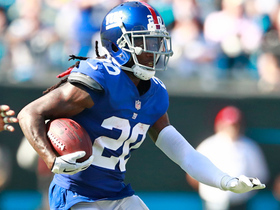 Thomas caught three of six targets for 38 yards during Sunday's 33-31 win over the Giants. Analysis: Thomas tied for second on the team in targets, but he did't make much of an impact outside of a 27-yard gain in the second quarter. While this effort was modest at best for Thomas, he notched a new career high in yardage and has now improved in that category with each passing week of the season. Thomas could put up useful numbers if he ever takes full advantage of his newfound role in the offense, with his next chance to step up coming Sunday against the Redskins. Thomas caught three of five targets for 20 yards in Sunday's 31-21 win over the Bengals. Analysis: Thomas mustered only 10 receiving yards as the starter Week 2, so the rookie tight end's role is slowly growing. He should continue to start while Greg Olsen (foot) sits for at least a few more weeks, and it wouldn't be surprising to see Thomas' role expand a bit after next week's bye. 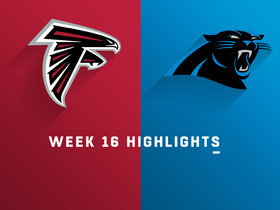 Thomas caught two of three targets for 10 yards in Sunday's 31-24 loss to the Falcons. Analysis: Thomas played all but three offensive snaps in the wake of Greg Olsen (foot) going down Week 1. 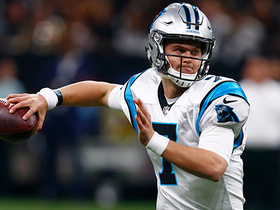 While that heightened involvement is really encouraging for Thomas, the rookie fourth-rounder's sparse utilization in the passing game shows he still has some way to go in establishing a trusted rapport with quarterback Cam Newton. Fortunately for him, he figures to continue to get the necessary playing time, making his development worthwhile to monitor in the coming weeks. 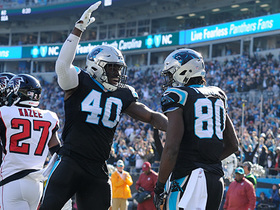 Thomas is likely to serve as the Panthers' primary tight end with Greg Olsen (foot) expected to be sidelined for at least a month, David Newton of ESPN.com reports. Thomas caught both of his targets for four yards during Sunday's 16-8 win over the Cowboys. Analysis: Thomas made a seven-yard catch before losing three yards on the only other pass thrown his way. Despite his modest NFL debut, he could be in for an increase in usage after teammate Greg Olsen (foot) left the game with an injury. The severity of the issue will become more clear over the next couple of days, but Thomas would profile as the main beneficiary if Olsen misses any time. Thomas' next chance to contribute will come next week against the Falcons. Thomas hauled in both of his targets for 35 yards and a touchdown in Friday's preseason game against Miami. Thomas participated in Monday's practice, Jourdan Rodrigue of The Charlotte Observer reports. Analysis: The reason for Thomas having missed Sunday's practice remains undisclosed, but it appears his absence wasn't due to injury. The combine standout will continue to compete with Chris Manhertz for the No. 2 tight end role in training camp. Thomas did not participate in Sunday's practice due to an undisclosed reason, Jourdan Rodrigue of the Charlotte Observer reports. Analysis: The reason for Thomas' absence is unclear at this point, but the possibility of an injury could hamper his chances of winning the No. 2 spot at tight end even with Chris Manhertz (foot) still on the PUP list. More information regarding Thomas' status should become available prior to the Panthers' preseason opener against the Bills on Thursday. Thomas will compete with Chris Manhertz (foot) for the No. 2 tight end job, Jourdan Rodrigue of The Charlotte Observer reports. 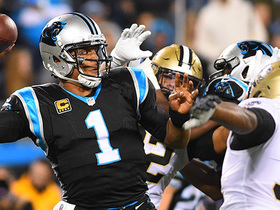 New Orleans Saints defensive end Cameron Jordan is able to disrupt the pass from Carolina Panthers quarterback Cam Newton to seal the win. New York Giants safety Curtis Riley jumps a route and intercepts Carolina Panthers quarterback Cam Newton. 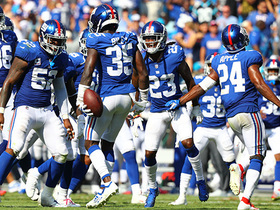 New York Giants cornerback Janoris Jenkins hauls in an interception on Carolina Panthers quarterback Cam Newton to keep the Giants in the game. 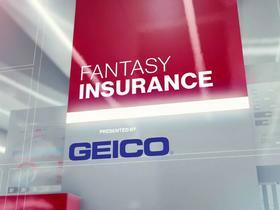 The 'NFL Fantasy Live' crew break down some players you need to add to your fantasy roster for insurance.